First detected by a Tanzanian tailor named de Souza in the early sixties, Tanzanite shot up in popularity after Tiffany's in New York promoted it. 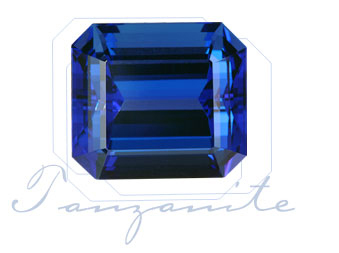 Why was this stone named Tanzanite? The scientific name is Zoisite. In the English language this sounded much like suicide, so Tiffany's thought this would not be the right name for such a wonderful gemstone. So they named it after its country of origin, Tanzania, by the way the only country producing this blue variety of Zoisite. Prices had undergone a strong fluctuation throughout the years. Now again prices are going up after a long period of low prices. There were frequent attempts in the past to monopolize the Tanzanite market with only limited success. We will watch carefully. Anyway we still have a nice stock at unbeatable prices.